A small piece of my childhood arrived at my doorstep yesterday and I couldn’t be happier. If you grew up nearly anywhere in the Southeast United States, no doubt you’ve seen three words scattered across rooftops and billboards: See Rock City! For those not fortunate enough to know about the amazing Rock City, let me give you some background. 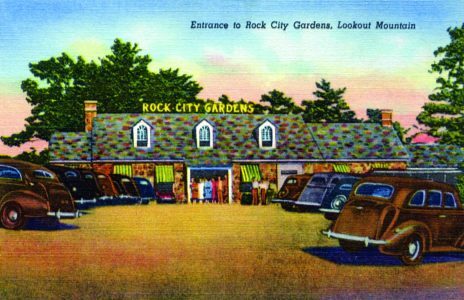 Located in Lookout Mountain, Georgia, just minutes away from Chattanooga, and adjacent to Ruby Falls, Rock City opened as an attraction in 1932. Rock City is compromised of trails that overlook, go through and even under Lookout Mountain. The park has a fascinating and charming history that is chronicled in the new book, Images of Modern America – Rock City by Tim Hollis. Cracking this book open was like unlocking a portal to memories of my childhood I had long forgotten. Rock City is one of the most scenic and charming attractions in the world and Hollis captures it beautifully in his new book. If you’ve never had the chance to visit Lookout Mountain, it is best known for the images above. From standing in one spot, you can see seven states through the use of binoculars on a clear day. 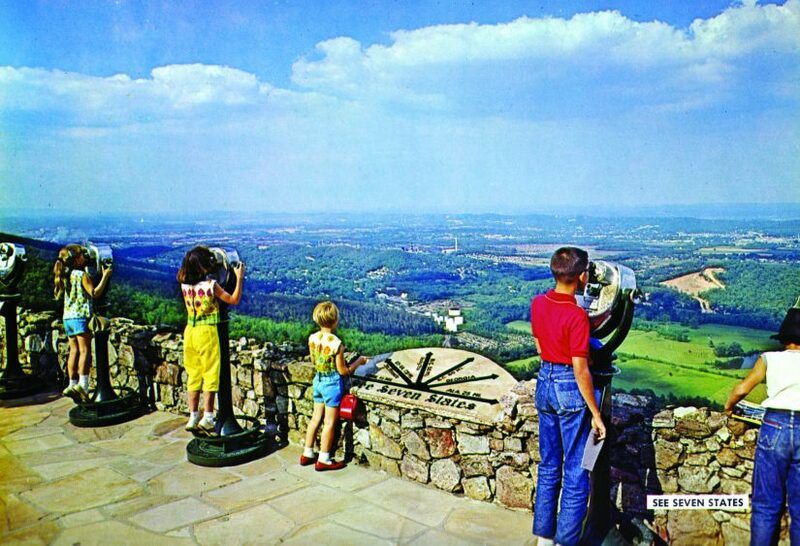 A fact that I never knew until reading Images of Modern America – Rock City was the land just below the mountain was also purchased by the owners of the attraction so visitors would have an unspoiled view as they looked down on the valley below. As the trail winds around, there are many natural wonders to see. 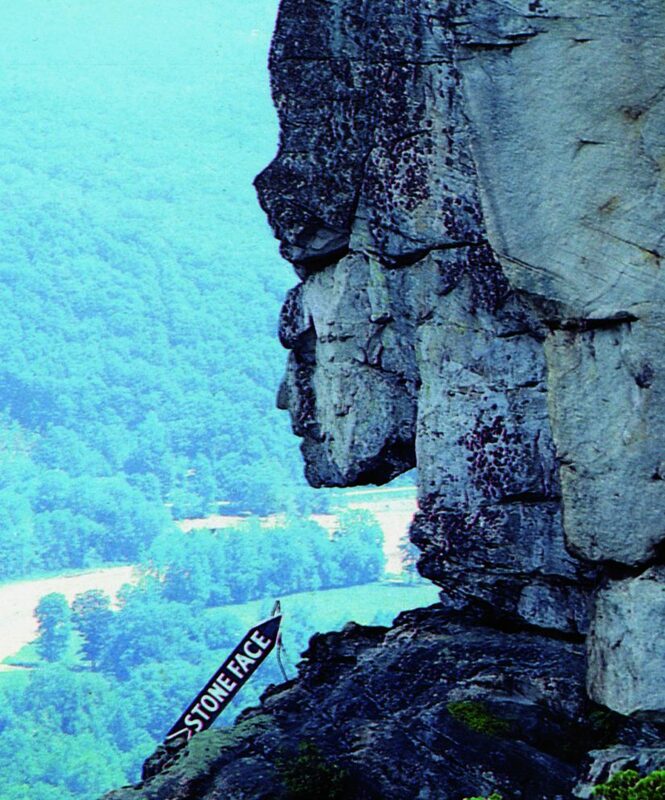 Seen above is Stone Face, which is absolutely incredible. This is part of the charm of Rock City. It’s a great mix of nature and some man-made charm thrown in. Take for example, Fairyland Caverns. These one-of-a-kind blacklight scenes are dripping with detail. 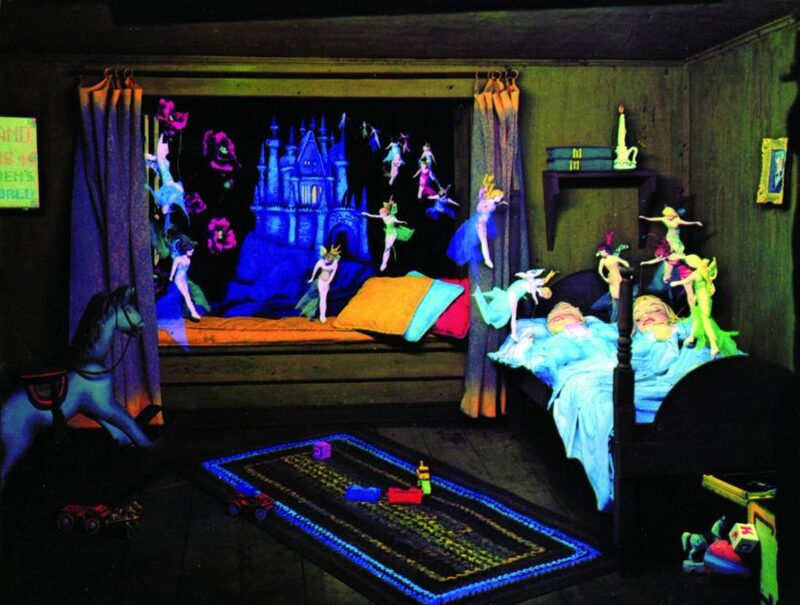 Seen above is the opening sequence where children are just falling asleep and the fairies are ready to take them to Fairyland. Images of Modern America – Rock City has many beautiful photos of Fairyland Caverns and it’s one of many reasons to pick up the book. 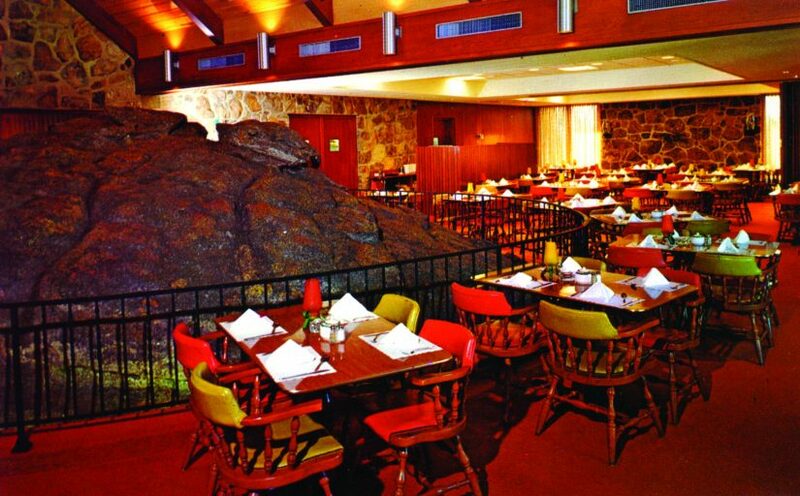 Even the restaurant in Rock City, known as the Big Rock Grill, was built around the natural rock formations of Lookout Mountain. Seen above is a photo taken in 1968 of the unique restaurant. What is most impressive about Rock City is not the actual attraction itself, but rather it’s unique and aggressive marketing strategy. Keep in mind, this attraction does not have any roller coasters or carousels. There are no 3D movies or new technology. It is what is considered in 2017 standards – old. 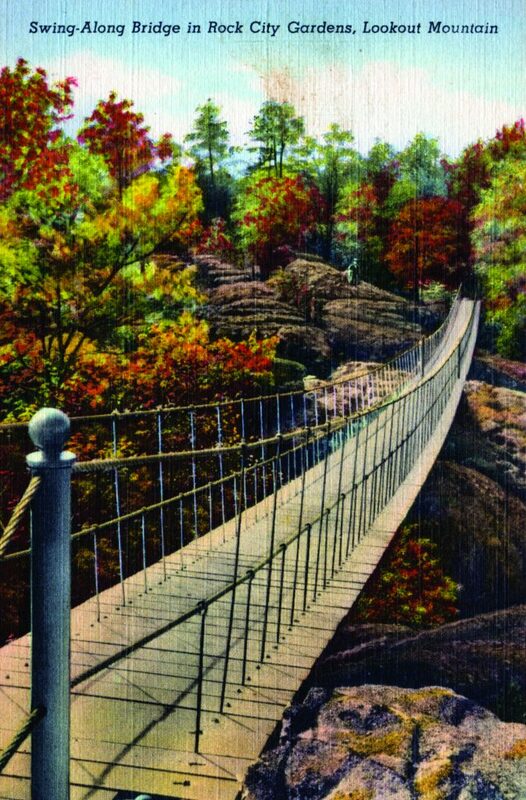 However, even as newer hi-tech attractions have popped up around Rock City, it has endured and that is largely thanks to their marketing. 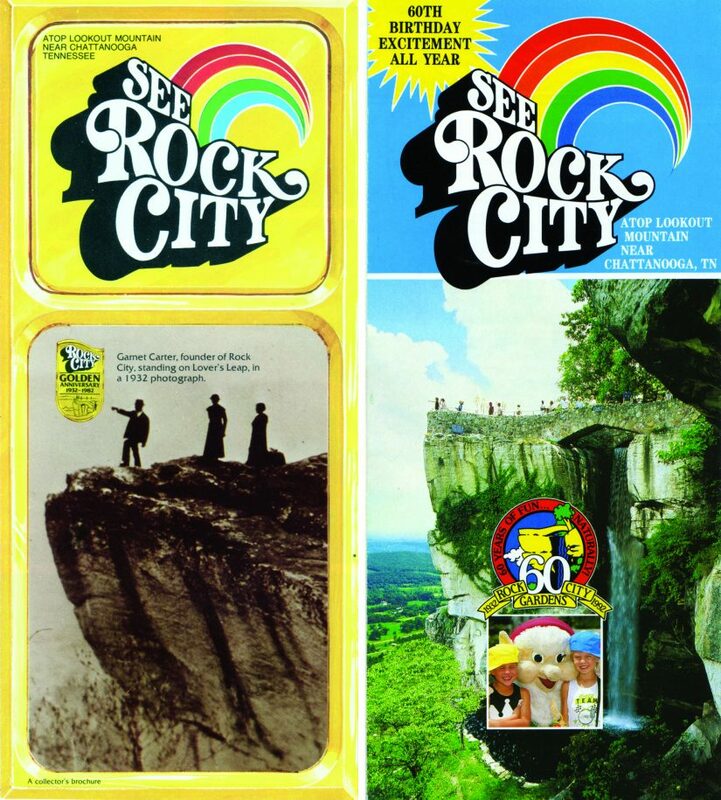 For decades, including today, you couldn’t drive anywhere near Chattanooga and avoid advertisements for Rock City. 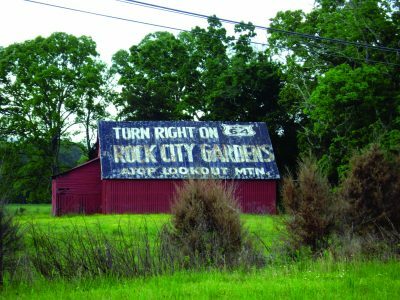 Brochures, billboards and rooftop barns all featured three simple words: “SEE ROCK CITY”… with little to no explanation to what it actually is. 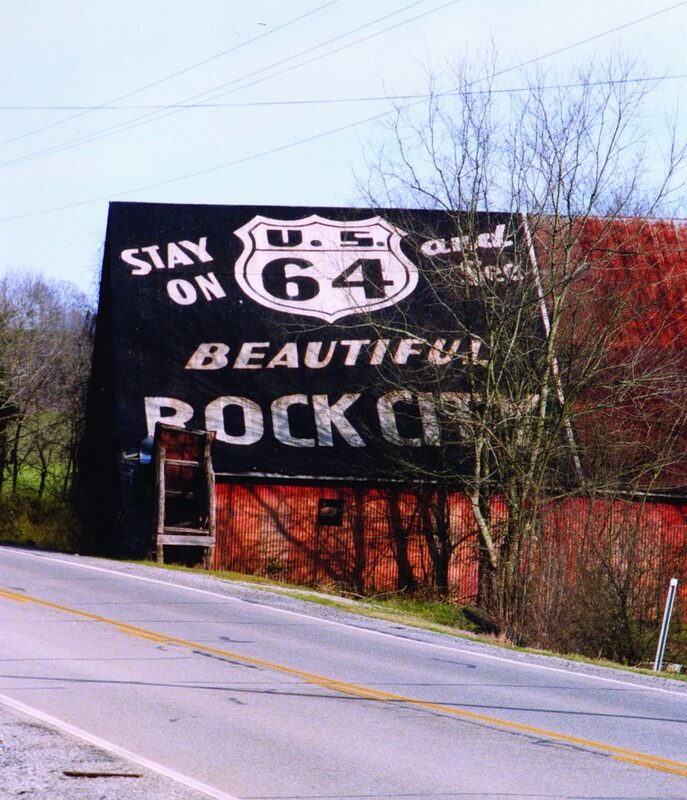 Perhaps more infamous than the park itself are these advertisements along the roofs of roadside barns all across the east coast of the United States. Beginning in 1936, these advertisements could be seen as far north as Michigan and as far west as Texas. Crazy? Not at all. This was a vital key to their success in the early days and, as such, a vital piece of Americana. I can’t recommend Images of Modern America – Rock City by Tim Hollis enough. The book is available starting Monday, May 1 and you can pre-order a copy by clicking the link below! Make sure to follow Theme Park University on Instagram, on Twitter, subscribe on YouTube and like our Facebook page! Doing any online shopping? Click on any Amazon link on this page and it helps TPU pay the bills and costs you nothing extra!Images reprinted from Images of America: Rock City by Tim Horris (Arcadia Publishing, 2017). This entry was posted in Outside The Parks and tagged Chattanooga, Roadside Attraction, Rock City, Tennessee, tourist attraction. Bookmark the permalink. Trackbacks are closed, but you can post a comment.